You know when you meet a couple, and you just KNOW? When they just seem so well suited to one another that you can’t really picture them apart? 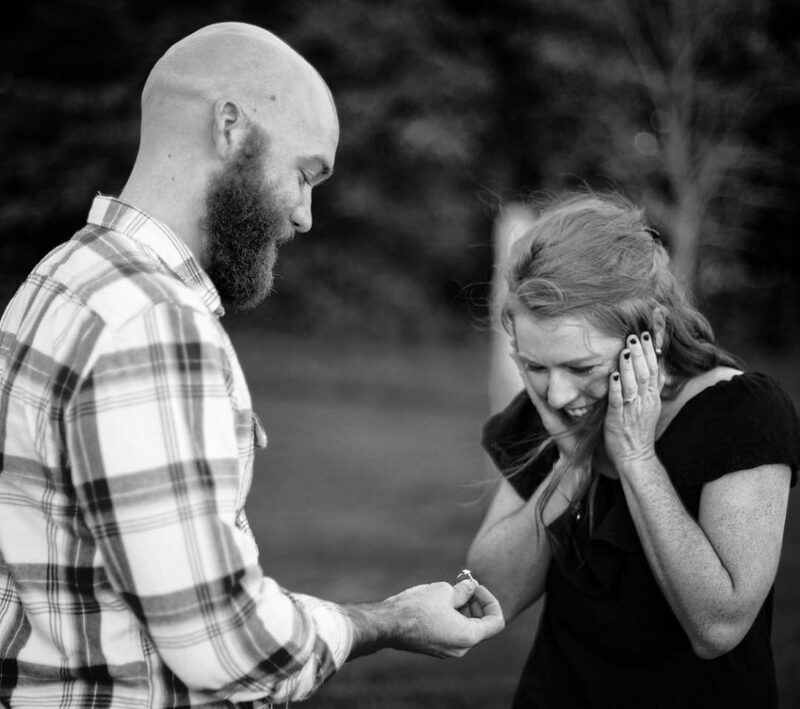 When you hear they are getting engaged and your heart screams “YES!!”? That’s Kyle and Sammy. 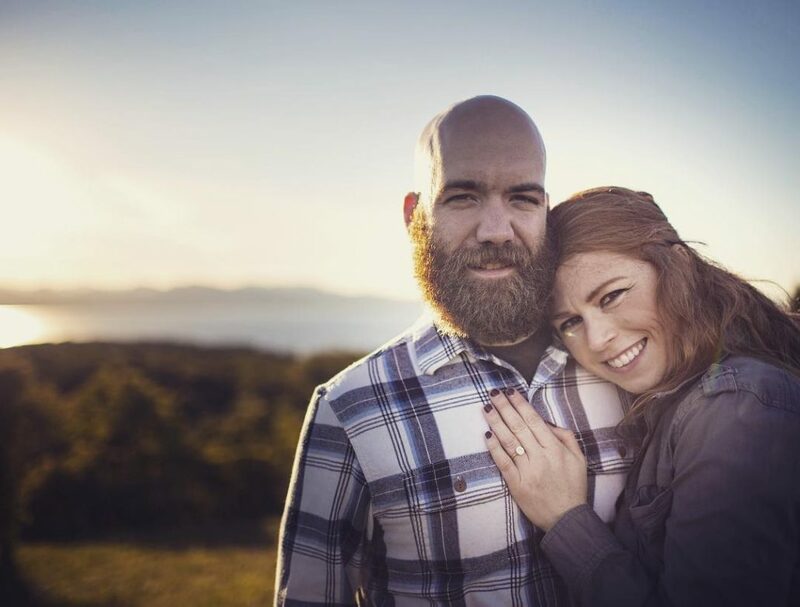 I worked with them this fall on their engagement ring, and I can’t wait for these two Vermonters to get hitched. Here’s a little BG on their adorable love story. Sammy: Kyle and I first met in the Summer of 2004. We were both working at a summer camp. I remember walking into the main lodge and seeing cute college-age Kyle in a black Blink 182 sweatshirt playing the guitar. Needless to say, I was in awe of him for the rest of the the summer. I like to claim that our first date was to the Danville County Fair where we held hands while riding on one of those crazy cage rides. I’ve had butterflies ever since he talked to me first at camp. Kyle: Sammy and I first met on July 3rd, 2004. I was in my second summer working at a summer camp and Sammy was a volunteer. She arrived on a Saturday afternoon and the staff crew went to the state lawn in Montpelier to watch the fireworks. I was heading into college in the fall and she was heading into her sophomore year in high school. She was WAY more interested in talking about college than I was. She doesn’t remember this at all. Fast forward 10 years and I’m in San Francisco visiting my best friend. I knew Sammy was living in the Bay Area so I suggested that we get together to catch up. Fast forward eight months and we’re living together in Burlington, VT. Fast forward another two years (June of 2017) and here we are…getting married! 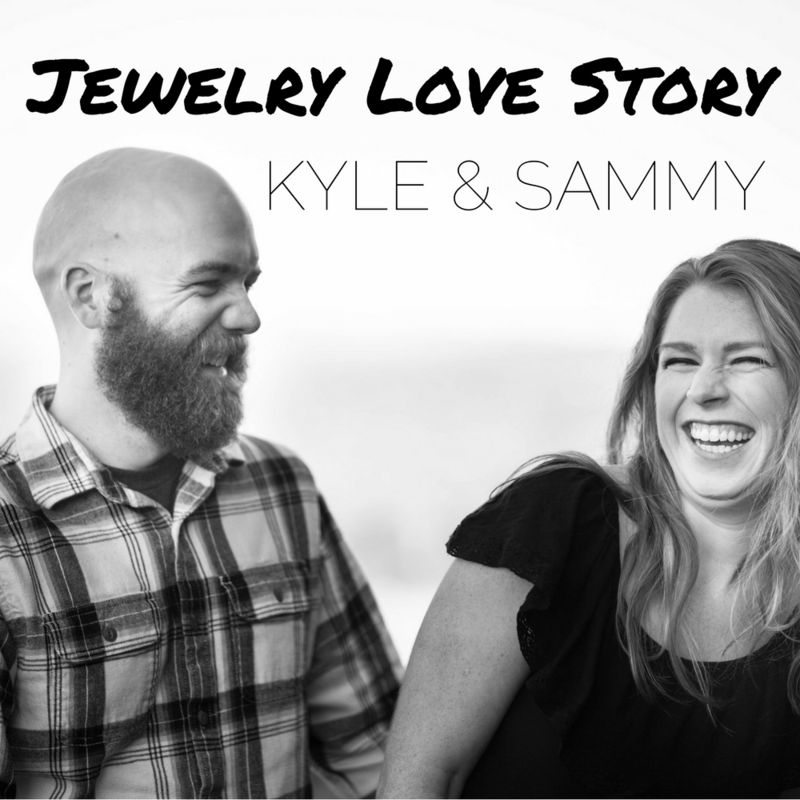 Even though they technically got engaged in Iceland, Kyle surprised Sammy with the finished ring we designed during their engagement photoshoot! Photo by Katie Figura. You just got engaged. What is your next big adventure? Flannel, green fields, and sunsets. Real romance in Vermont captured by Katie Figura Photography. Walking our dogs, hanging out with friends at our favorite spot in downtown Burlington, traveling around Vermont and hiking mountains. Looks pretty natural on her hand, doesn’t it? Beer. Is there anything else? Kyle love hops, Sammy loves sours. What’s the best advice you’ve received about beginning to plan a wedding? What are you looking forward to most? We’re looking forward to giving each other our vows. Best advice: to get married at the Grafton Inn*! *Author’s note: I’m going to brag a little and let you know that that was my advice! I got married at The Grafton Inn in 2014 and LOVED everything about the gorgeous Vermont venue. As a fellow Vermonter, I could not resist the urge to push my wedding agenda on these two! 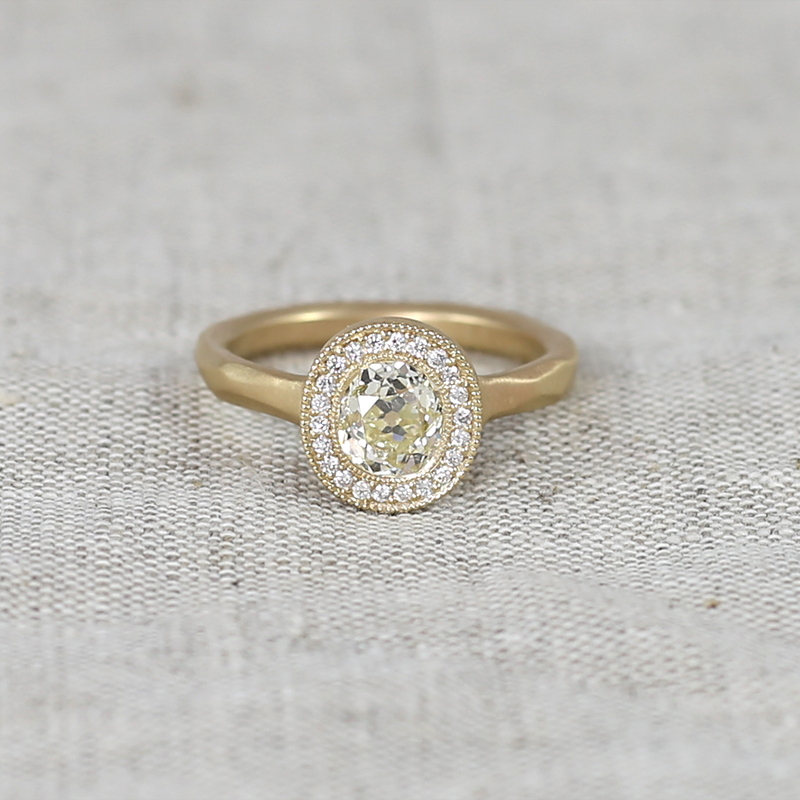 For Sammy’s ring, we selected a soft yellow vintage Old Mine Cut diamond. It was most likely cut by hand in the late 1800’s. I hope you love how Sammy’s ring turned out. Can you share your experience? 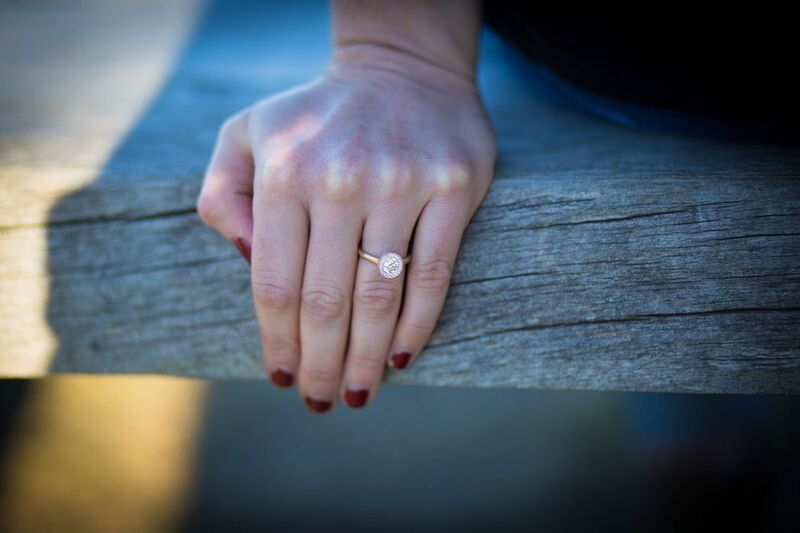 Sammy: Kendra was awesome to work with and designing my ring. She was able to design something so unique, meaningful, and special. I wanted a one of a kind ring that looked classic and had a vintage flair and she delivered on all ends. I couldn’t picture a ring that would fit who I am and what I would want any more than the one Kendra created!